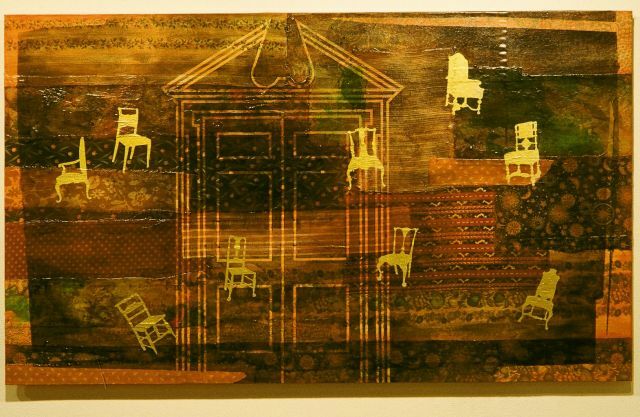 Ed Brodkin, takes great pleasure in using a variety of materials: acrylics enamels, glazes, varnishes, collages, printed or woven fabrics on varied grounds including canvas, burlap, fiberboard and pressed wood, sometimes combined. Occasionally non-rectangular shapes are used possibly even perforated. All the above allow him the pleasure of always experimenting, never becoming formulaic and never settling on a “signature” style.